Wikimedia/Business InsiderA map showing Oscar Gonzalez’s approximate path inside the White House. The Times’ account of the incident was based on an executive summary of a report presented to members of Congress on Thursday. The report, which has not yet been made public, also found the Secret Service’s alarm and radio systems failed to function properly, and other responding officers did not notice Gonzalez until he was beyond their reach. 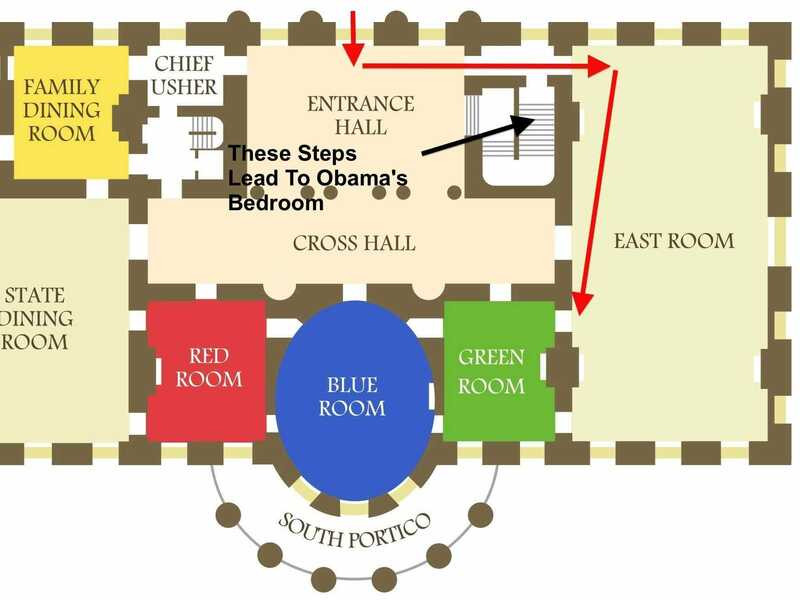 Ultimately, Gonzalez was able to enter the White House, run through the building’s East Room, and open the door of the Green Room. 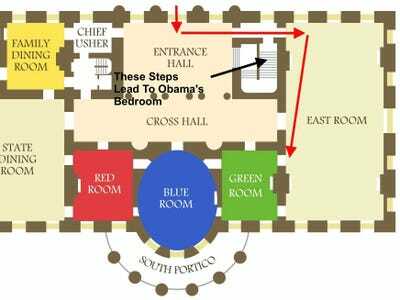 His path took him past the staircase leading to the president’s bedroom.